HQ:Xinhua Park,Economic Development Zone,Cangzhou City,Hebei Province,China. FD Petrol Group Company is a China&UAE based API&ISO certified specialized manufacturer for solids control, drilling waste management equipment and rig camps. Headquartered in Cangzhou city,Heibei Province,China ,FD Petrol covers more than 300,000 square meters with more than 600 employees and 4 subsidiaries company operating in China ,UAE & Russia. 15,000 square meters base and warehouse in Hamriyah Free Zone of Sharjah UAE ,serving the worldwide oil and gas drilling industry. Certified Personnel: RT,PT,MT certified personnel to fabricate mud storage tanks. Strictly follow WPS and PQR requirement. 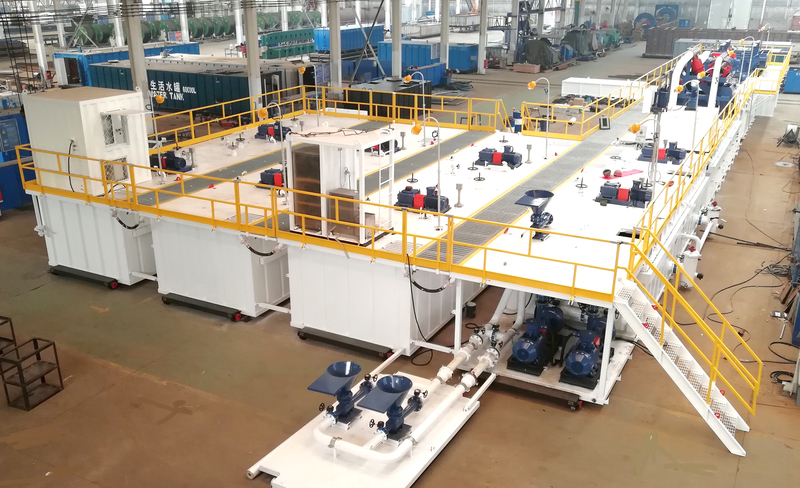 Test Center: OBM&WBM test platform consist of mud, storage tank, pipe system, control system to test our equipment performance.